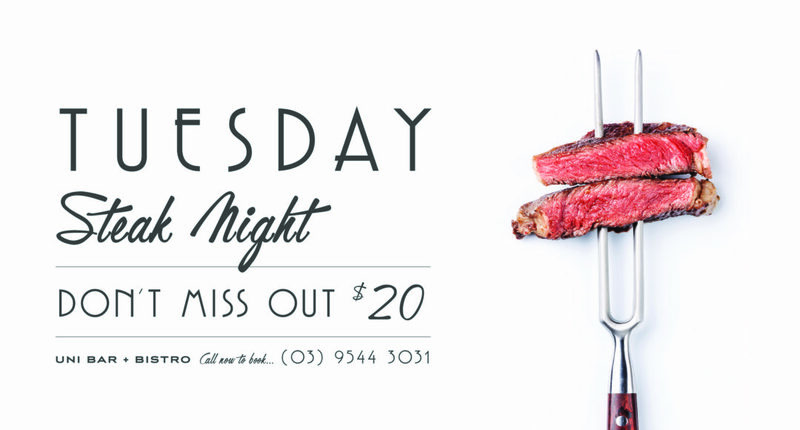 EVERY TUESDAY IS STEAK NIGHT! Succulent steaks for just $20! All steaks are served with chips and your selection from the salad bar. Sauces include: pepper, wild mushroom, traditional gravy or garlic butter.